SFW205GRC Digital Fire/Water Safe is rated 4.7 out of 5 by 3. The Digital Water and Fireproof SFW205GRC is designed to meet all your safe storage needs. 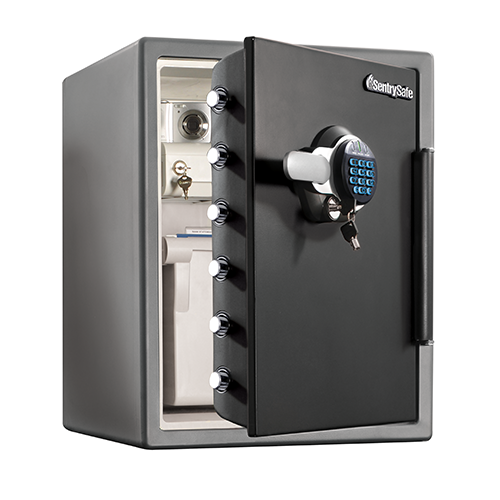 The SFW205GRC provides peace-of-mind for your most valued items with solid steel construction, a digital lock with added key entry, UL Classified fire protection and ETL Verified (link to Learn About Our Safes) water protection. 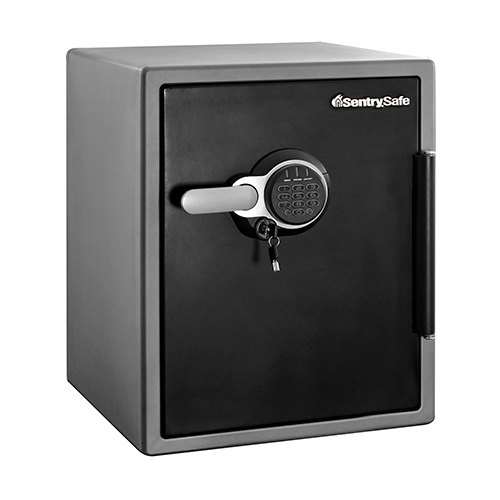 Complete with a deep file rack, key rack, and door pocket to keep your valuables organized, this safe is the ideal security solution for your home or office. Rated 4 out of 5 by Safeguard documents only from Hoping for a More Secure Safe I purchased the SFW205GRC Sentry Safe to replace a previous Sentry Safe that was pried opened earlier this year during a home burglary. 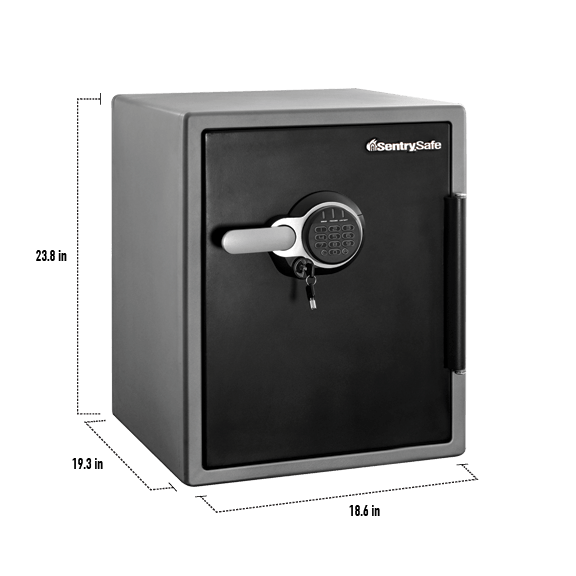 Burglars were able to open my previously owned safe (Sentry Model #A5882, 2 cu ft) that I had for about 6 years. Burglary occurred while I was away on vacation. I was surprised that the thief was able to pry the door open. Since I primarily use the safe to safeguard important documents (e.g. birth, marriage certificates, etc. ), I was fortunate to only have suffered a limited financial loss (emergency stash of cash and some silver coins). The safe, itself, was a total loss and had to be discarded. Rated 5 out of 5 by LaurieJ from Perfect size I wanted a safe with a key lock only, but got this one even tho it requires a pass code as well, because I couldn't fine key lock only safe. The key is not necessary as long as you never lock it. Turns out to be the perfect size and easy to open, even with the dual locking system, if I use the key.